Whoever said it's hard to combine fashion and winter function obviously hasn't seen the Sorel Tivoli III High . This women's tall snow boot features a sleek and stylish silhouette, with a waterproof suede and textile upper and a faux fur cuff to keep the cold out. A waterproof breathable membrane provides further defense against moisture. Inside, a cozy microfleece lining and 100g of insulation keep you warm from your toes on up, and the removable microfleece covered Orhtolite™ footbed combines EVA and memory foam for instant comfort . 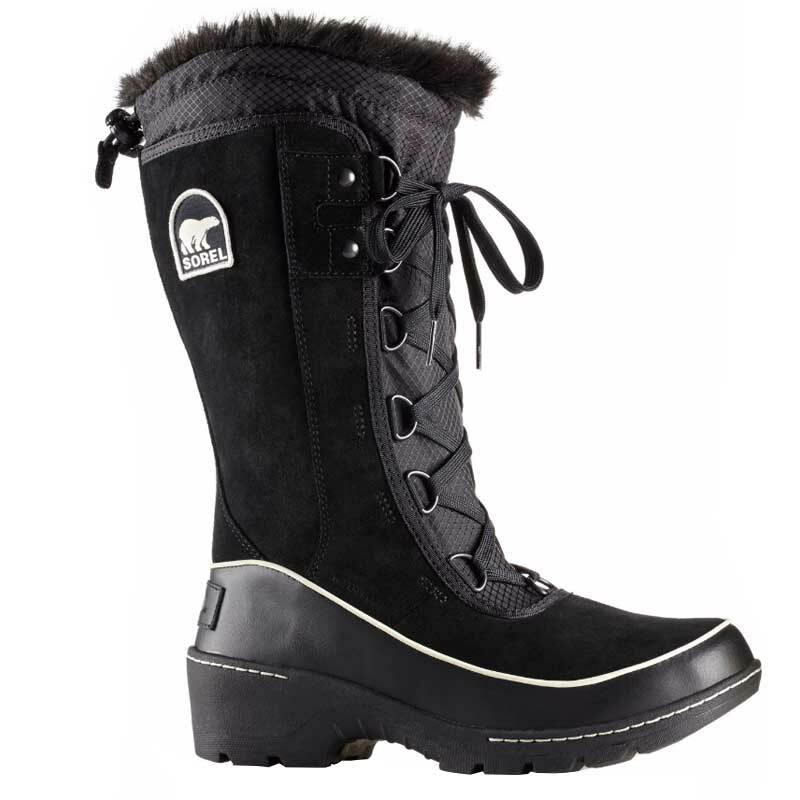 The rubber midsole and molded rubber outsole keep you protected even when traversing through puddles and snowbanks. Slip into the comfort and style of the Sorel Tivoli III boots, and you'll be welcoming the winter weather like never before.